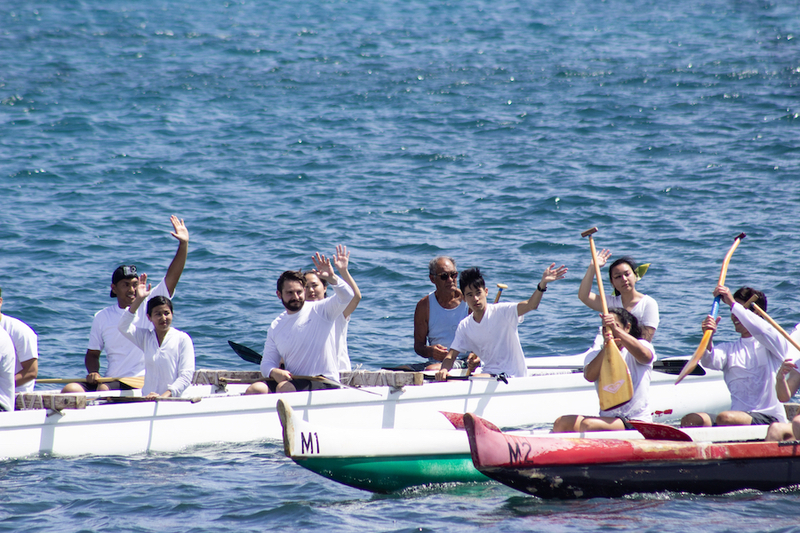 Pictured: Students in a canoe wave to mourners on shore. Vina Cristobal photo. Skeptical of body donation, a daughter changes her mind after witnessing the regard shown for her mother and other donors by University of Hawaiʻi medical students. But after watching the medical students of the University of Hawaiʻi Willed Body Program honor her mother and the 179 other body donors recognized in a unique ceremony last Saturday, Meeker has changed her mind. Washington has the same thing as you,” said Meeker, while standing outside the Farrington High School Auditorium where the UH medical students hosted the memorial service. It included music by instrumentalists who are students of the John A. Burns School of Medicine (JABSOM), students who performed hula dances, and others who spoke from the heart about what working with the individuals they had been privileged to come to know so intimately meant to them. 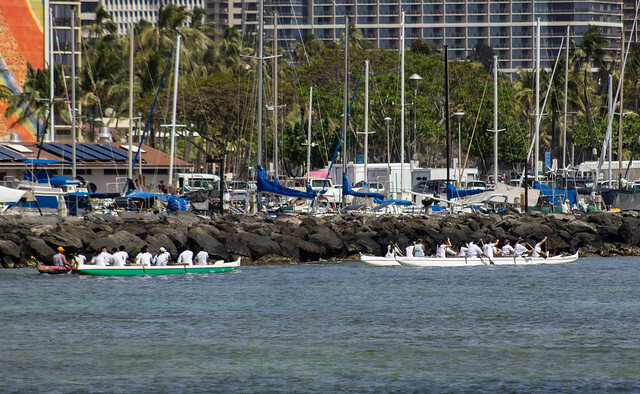 Following the memorial, a scattering ceremony was held off of Magic Island, where canoes carried the students out to sea, with Diamond Head in the background, to scatter the ashes of the dead along with flower lei, into the sparkling ocean waters. Mourners watched from the shore as the Celtic Pipes and Drums of Hawaiʻi played the bagpipes. We have two videos, one featuring our interview with Ms. Meeker about her mother, Amy Toda Meeker, a woman Sarah described as ahead of her time — a feminist and a body donor. And we hear Sarah’s thoughts about the Hawaiʻi program. And another by first-year medical student Andy Hwang (MD Class of 2022), a montage of the day’s events.